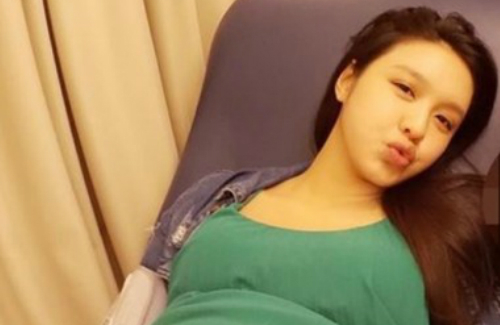 Hong Kong singer and actress Ella Koon (官恩娜) is at the brim of giving birth to a baby boy. Ecstatic about becoming a new mother, she loves to share tidbits of her pregnancy journey on social media via photos and updates. However, some netizens found Ella’s constant posts about her expanding belly to be annoying. People who doesn’t want to see her post should just not look at her instagram. Crazy people. Personally love her post. She is 1 happy Mommy! @happybi IKR?? Well those Netizens annoy me so why don’t they stop their whinings and self centered opinions? Lol. They just like to complain about everything. Then there’s the tabloid, who love to write/report about everything like this. How is this even worthy of a news article? Lol. omgggg people complain about everything! it’s her personal account, she can post whatever the heck she wants!